Just starting out? Experienced but stumped? Want access to Ancestry.com? Family history researchers find that historical artifacts and documents become pieces of a complex and fascinating puzzle that shows you where you came from and who you are. Inevitably, experienced as well as inexperienced genealogists hit snags. Society staff members have been helping family history researchers – beginners and experts for many years. Most genealogy researchers are helpful individuals who love to share strategies and success stories. You just might find a solution to your brick wall through a fellow family history searcher in these FREE discussion and problem-solving sessions at the Society. 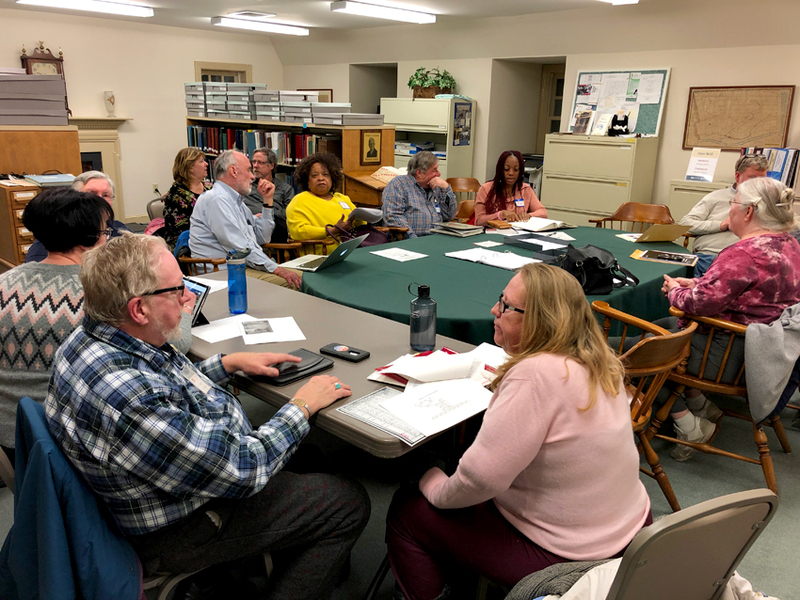 The Society holds a World Explorer membership to Ancestry.com, which means worldwide records are available to all support group participants. Come see what it’s all about. Feel free to bring a laptop!